Can Trump turn things around at the second debate? Presidential debates are unpredictable enough with just two candidates and a moderator. And this Sunday's will add questions from a live audience of undecided voters on top of that. 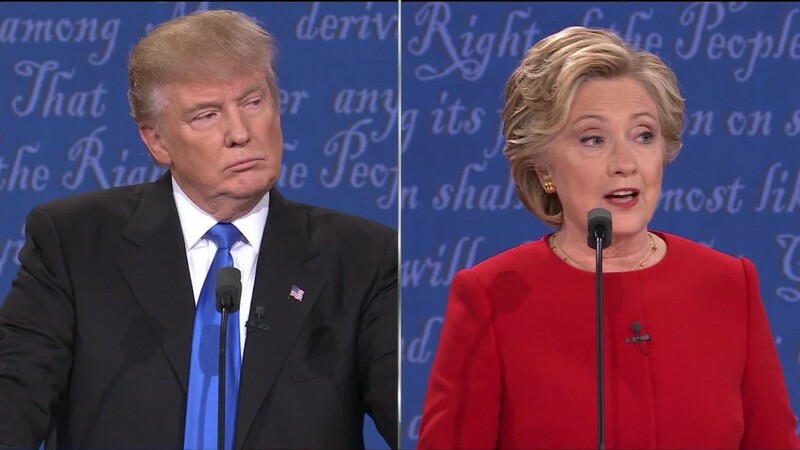 The upcoming presidential debate between Hillary Clinton and Donald Trump will be a town-hall format, which means half the questions will come from uncommitted voters in the debate hall, while the other half will be influenced by voters' concerns on social media. The town-hall participants were selected and screened by Gallup, the research and polling organization, but it's the moderators -- CNN's Anderson Cooper and ABC's Martha Raddatz -- who will choose which of those participants get to ask their questions. Janet Brown, the executive director for the Commission on Presidential Debates, said the moderators would select the questions "with the goal of maximizing the number of topics covered." There will be 40 participants in the audience, she said, and time for roughly eight audience members to ask questions. Beyond that, the debate will follow a familiar format: The candidates will each have two minutes to respond to a question and there will be an additional minute for the moderator to facilitate further discussion. Cooper and Raddatz have been preparing for this debate for weeks, and both have taken time off from their usual on-air duties to meet with one another, research the candidates' records and decide on the questions that will be asked. Both are experienced moderators. Cooper moderated multiple debates and forums during the 2016 primaries, and several CNN town halls. Raddatz, who was moderator of the 2012 vice presidential debate, co-moderated two primary debates this cycle.